[Fixed] Dropbox Not Syncing on Windows 10/8/7/XP - iMobie Inc.
Find solutions to fix the problem of Dropbox not syncing on Windows? Don’t worry, we have prepared 4 useful solutions in this post to help you address it, just read it to get more details. The problem that Dropbox not syncing on Windows 10 or on Windows 8/7/XP could be caused by various reasons, such as the network failure, interference of anti-virus program, corruption of Dropbox settings and more. No matter what causes the problem of Dropbox not syncing on Windows, it’s quite a headache problem that needs to be addressed immediately. Here in this post, we have prepared 4 useful solutions to solve the issue of Windows Dropbox not syncing, you can follow the instructions below to have a try. Anti-virus program often conflicts with the third programs like Dropbox. 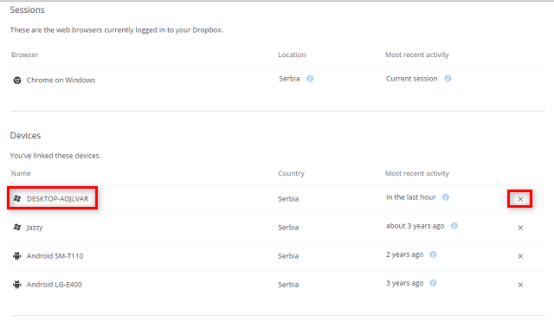 So you can turn off your antivirus for a while and see if Dropbox is able to sync. 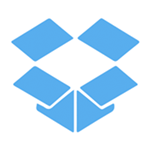 The corruption of Dropbox’s Settings can also cause Dropbox’s sync to stop working. You can solve this problem by unlinking your computer from the Dropbox account and link it again. That way, the problem of Dropbox not syncing on Windows will be solved after you reset the settings. Now follow the steps below to make it. Sign in to your Dropbox account on the website. Click Settings > Select the Security tab > Click the X beside the name of your computer to unlink it. In general, the sync might not function well if you failed to connect to the internet or the internet is weak. So you’d better go to make sure that your internet connection is fine. 1. Open the file Explorer. 2. Go to your Dropbox folder, and go to the cache folder (you can also access the folder by entering %HOMEPATH%\Dropbox\.dropbox.cache in Search). 3. Select all by pressing Ctrl+A. 4. Press Delete and confirm, to remove everything from the folder. Besides the problem of Dropbox not syncing on Windows, there are many other problems you may meet when you use Dropbox, such as Dropbox failed to uninstall, won’t open, show an error, etc. Problems like these will take you more time and effort to manage your files. Therefore, it’s time to replace Dropbox with a better cloud drive. Here we highly recommend you the professional cloud manager – AnyTrans for Cloud. It is a comprehensive cloud manager that integrates with multiple cloud-storage services, including iCloud Drive, Box, pCloud, Dropbox and Google Drive. You can store files to any one of these cloud drives or sync files automatically from one drive to a target cloud service. Besides, there are many other wonderful functions are waiting for your attempt. If you are interested, you can register it to have a try. 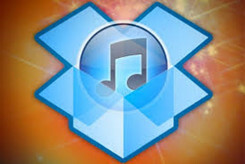 That’s all solutions to fix the problem of Dropbox not syncing on Windows, hope solutions above can help you a lot. Even the solutions 1 to 4 are not working, don’t worry, you can use the Dropbox alternative tool – AnyTrans for Cloud to help you out. You can download it to have a try.